By virtue of the further provisions in Section 15, the Chairman of the tribunal must be qualified to hold office as a Judge of a superior court in Nigeria. Also the Chairman and other two members are appointed by the President on the recommendation of the National Judicial Council. The Chairman’s tenure of office ends when attaining the age of 70 and the Chairman cannot be removed by the President except upon an address supported by two-thirds majority of each House of the National Assembly praying that he be so removed for inability to discharge the functions of the office. 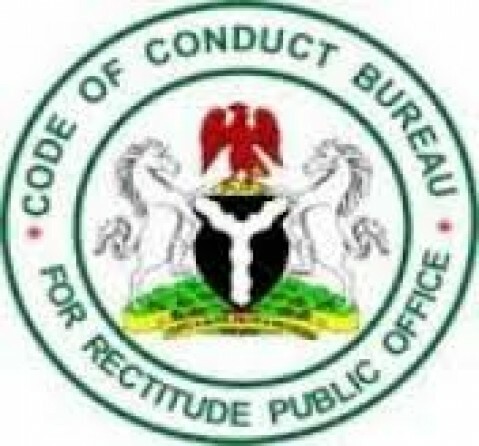 According to section 18, where the Code of Conduct Tribunal finds a public officer guilty of contravening any of the provisions of the Code of conduct for public officers, such public officer may be directed to vacate the office or seat in any legislative house as the case may be, or, be disqualified from membership of a legislative house and from holding any public office for a period of 10 years or seizure and forfeiture to the State of any property acquired in abuse or corruption of office. These above stated penalties are without prejudice to any penalty that may be given by a Court if the offence is of a criminal nature. i. The President and Vice-President. ii. The President and Deputy-Speaker of the Senate, House of Representatives and Speakers and Deputy-Speakers of Houses of Assembly of States, and all members of legislative houses. iv. Chief Justice of Nigeria, Justices of the Supreme Court, Court of Appeal, other judicial officers and all staffs of the court of law. v. Attorney- General of the Federation and States. vi. Ministers of the Federal Government and Commissioners of State Governments. vii. All Chiefs of the armed forces. viii. Inspector- General of Police, all members of the police and security agencies. ix. Secretary to the Government and Head of the Civil Service including permanent secretaries and all members of the civil service, either Federal or State. x. Ambassadors, High Commissioners and other officers of Nigerian missions abroad. xi. Chairman and members of local government councils. xii. Chairman and members of statutory corporations. xiii. All staffs of Universities and institutions owned or financed by the Federal or State Government. xiv. Chairman and members of staff of permanent commissions or councils appointed on full time basis.